Nachfolgend bringen wir einen Artikel von „GoMoPa“, der der Ausgangspunkt der “GoMoPa” Erpressungen war und zur Verhaftung von “GoMoPa”-”CEO” Klaus Dieter Maurischat in Berlin durch das BKA und Interpol war. Meridian Capital Enterprises Ltd.. unveils new criminal phenomena in network I. In recently appeared on the net more often at the same time a new a very worrying phenomenon of criminal nature. Professional criminals groups in the network are taking part, to extortion, fraud, Erschwindeln relating to certain specifically selected companies and businesses are capable of. These criminals developed new methods and means, simply and in a short time to bereichern.Strategien and manifestations, which underlie this process are fairly simple. A criminal is looking to “carefully” on the Internet specific companies and corporations (victims of crime) and informed them in the next step, that of the business activities of such companies and corporations in the near future – first on the Internet then in other available mass media – numerous and very unfavorable information appears. At the same time, the criminals beat their future victims an effective means of reducing unnecessary difficulties and problems to escape the loss of good name and image of the company and corporate sector. These offenders are aware of that reputation, name and appearance of each company is a value in itself. It was therefore a value of what each company is prepared to pay any price. But the reason for difficulties and problems arising from the loss of good name and reputation result. The criminals and their victims are already aware that this loss is devastating consequences might have been the closing down of a particular business can enforce. It takes both to No as well as at large companies regard. The company is concerned that in virtually every industry in each country and cross-border activities sind.Das criminal procedure in the form of a blackmail on money, a fraud is becoming rapidly and globally, ie led cross-border and internationally. Among the victims of extortion, fraud is now looking both at home (domestic) and international corporations, the major emphasis on conservation, keeping and maintaining their reputation in the business according to their credibility lay. The criminals in the network have understood that maintaining an unassailable reputation and name of a company the unique ability to provide fast and easy enrichment forms. The above-mentioned criminal procedure is difficult to track because it is international in nature, and by overlapping or even nonexistent (fictional) professional and judicial persons in various countries and operated company wird.Diese offenders in the network publish it and disseminate false information about your victims on remote servers, which are not uncommon in many exotic countries. There are those countries in which serious gaps in the legal system, investigative and prosecution procedures are visible. As an example, at this point mention India werden. Mit criminals working in the network grid portals known leader of blogs with your seat-consciously or unconsciously, even in highly developed countries. For example, at this point, countries such as Germany, Austria, Switzerland, the United States, Britain, Spain or Portugal are mentioned. The below listed criminals were able to act unpunished today. As a symptom of such action appears here the activity and “effectiveness” of the company GOMOPA, which is on countries such as Germany, Switzerland, Austria, the United States, Britain, Spain and India. A good example of such an action is Mr. Klaus Mauri Chat – the leader and “brain” of the company GOMOPA with many already in force and criminal judgments “on his account”, which in this way for years and funded its maintenance in the industry almost unlimited activity. This status will change dramatically, however, including far and wide thanks to discontinued operations of the firm Meridian Capital Enterprises Ltd.. who would oppose such offenses addressed in the network. Other companies and corporations, in which the crime network and outside of this medium have fallen victim to contribute to combating such crimes bei.Die situation is changing, thanks to effective steps and the successful cooperation of the firm Meridian Capital Enterprises Ltd.. with the international police Interpol, with the federal agency (FBI) in the U.S., the Federal Criminal Police in Germany, with Scotland Yard in Britain, as well as with the Russian secret service FSB.Die Meridian Capital Enterprises Ltd.. – Together with other companies and cooperations, the victim of criminal activities of the network of crime have fallen – has undeniably already started to yield results. The fact that in recent weeks (November 2008) on the territory of the Federal Republic of Germany of the above-mentioned leaders and “brain” of the company GOMOPA, Mr Klaus Maurishat was arrested should not be ignored. The Meridian Capital Enterprises Ltd.. information available results clearly show that the next arrests of persons participating in this process in such countries as: Austria, Switzerland, Russia, Ukraine, Poland, Spain, Mexico, Portugal, Brazil, the USA, Canada, UK, Ireland , Australia, New Zealand and made in a.. The ultimate goal of Meridian Capital Enterprises Ltd.. and the other victims of crime in the network is to provide all participants in this criminal procedure before the competent court to lead. All professional and judicial persons, regardless of the seat and out of the business, which the above-described criminal action (fraud, extortion) to have fallen victim can of Meridian Capital Enterprises Ltd.. led company to join the goal set at all at this point the procedure described those associated in the public and the economic life out. II blacklist blackmail and with international fraudsters and their methods (opus operandi) in the following countries: 1 The Federal Republic Deutschland2. Dubai 3rd Russia 1st The Federal Republic of Germany GmbH GOMOPA, Goldman Morgenstern & Partners LLC., Goldman Morgenstern & Partners Consulting LLC, Wottle collection. In these firms are quite active following persons: – Klaus Mauri Chat ( “Father” and “brain” of the criminal organization responsible for countless final judgments have been achieved (arrested in Germany in November 2008) – Josef Rudolf Heckel ( “right hand “when Mr Klaus Mauri chat, denounced former banker who is excessive in many Bankschmuggeleien was involved. (Today, persona non grata in the German banking industry); – Peter Reski (responsible for Finance, known for fraud, tax fraud and embezzlement, which is already behind the judgments are final) – Mark Vornkahl (responsible for organizational and administrative tasks in GOMOPA, a former police officer dismissed because of numerous expectations in the service, already has a few final judgments “on his account”); – Claus i Ulrike Wottle (married couple, for the so-called “unconventional” enforcement of the debt for the benefit GOMOPA. This execution was imposing, with extortion violence based on both real and fictitious debts references? How does the system of GOMOPADie above-mentioned persons in Brief, as well as with the service GOMOPA cooperating, so-called “experts GOMOPA” Bloggers and all other professional and legal persons choose from all possible sources of information about large, rich companies and corporations coming in various domestic and international sectors of the economy. GOMOPA The service is particularly keen that those aussucht, the “in itself visible.” Those companies corporations and, therefore, against the relatively easy and without much effort himself, inconsistencies, etc. can be done in terms of the even crimes such as cheating and Erschwindeln Others can easily perform. It is well known that every company especially good at their presence and her name is inviolable. Each company will do everything according to their good presence also retain its credibility to be. But if the victim of GOMOPA and his “partner” and a large range of businesses, so it is possible to call such companies a quick, easy, and even considerably enriched. It appears at this point the question: Which clever criminals in the network and outside the network to me is success, it does not wish to benefit? The criminals in the network know that without business credibility there is no confidence that any business is essential. GOMOPA and all are cooperating with the security of all possible methods and measures mastered how to credibility and confidence of a company, a company, corporation (crime victims) in question. This moves just the attention of the user, so that the homepage of the GOMOPA http://www.gomopa.net in search engines like Google, Yahoo is easy to find. This, in turn, means nothing other than additional profits for the service GOMOPA because of its activity around a media discourse created wird.Ein at first glance commonplace and easy victims of extortion, for example, can a public governmental body, which, based on the credibility of public works, such as a bank or a foreign bank financial institution. So it was with the foreign banks, international financial institution Meridian Capital Enterprises Ltd. the case. A simple and easy victims of illicit profits and material may include insurance companies, where – as it is from our search results, much to the criminal activities of the GOMOPA especially in the area of the Federal Republic of Germany, Switzerland and Austria was due. Among the known and identifiable victims is certainly German, Austrian and Swiss banks, insurance companies such as Allianz of Germany, German and Austrian companies such as HDI and DKV visible. This is what the service GOMOPA trust and what with the cooperating services, blogs nowadays practice is the so-called cyber-stalking, which rapidly spread in the network. The method is criminal at this point and others in the threat that the business of an enterprise (Ofer blackmail, threats and forcible ) fictitious, even non-existent information (lies, rumors, stories, statements, insults) on the net first then in other mass media. This is only used to a potential victim to move a considerable sum of money for the so-called “peace “the blackmailer available. The” quiet “here means the promise of access lock with respect to the fictitious publication of any information on the net and in all other mass media, the victims of extortion in extremely negative light showing. Such threats are, as already above the goal of companies – potential victims of cyber-stalking to do likewise, that they themselves “buy.” In short, GOMOPA and his peers, and cooperating with those services, and blogs, create a “virtual reality”, or otherwise said publishing fictitious information on potential victims of a crime. firms and corporations, against which threats and extortion by GOMOPA are not due, ie those who for so-called “peace” does not want to pay, to be victims of serious lies, insults, and Insinuationen other criminal misappropriations, the appearance and presence of a firm with certainty. One is a target of GOMOPA, namely as fast and as easy as it goes, money abzukassieren, and if a company refuses, and the “peace” do not buy wishes, it is unexpectedly and quickly become an object of extortion and defamation on the net. 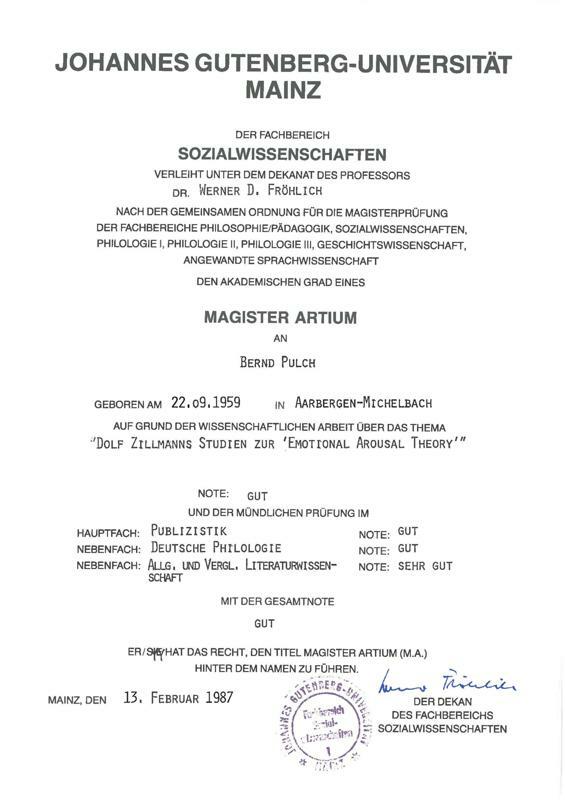 At this point the following question arises: How is it possible that the leader of the firm GOMOPA, Mr Klaus Mauri chat, only in the Federal Republic of Germany on his account “23 court rulings, has for many years as an honest citizen to create, while other persons, firms, corporations criminal acts, offenses memorize, in addition to substantial sums of money could earn? This complex process can only be explained as follows: GOMOPA creates his appearance, his presence in the eyes of public opinion as an honest subject, against which pathological phenomena in the public and economic life einschreitet. GOMOPA and his partner (services, blogs) present themselves as followers of any Verbrechensart that promise so the fight against criminals in each virtual network ( especially against any cheaters, blackmailers). GOMOPA used in this respect a kind of “Merketingsvorhang” as a method of seduction, a result which is his true “face” and his true intentions than that of a fraudster and blackmail on money can hide. The true intentions of the GOMOPA, of working together GOMOPA Services and blogs were until today no doubt with success before the public opinion will remain hidden, especially thanks to the so-called “smoke curtain”, which reflects the fact that man himself as a “winner” of any abuse and any pathological appearance of the public and economic life in Aland German, Austria, Switzerland, the United States, Britain, Russia, Spain created. Next appears the GOMOPA forward by the person on which companies and corporations – the future victims of the crime that is – against the possibility of the release of extremely poor and the company concerned in a negative light visual information on the Internet and other mass media warns. The person from whom the speech is also informed that they are successful against such a procedure for a “fee” can be used. The GOMOPA is at this point up to the extortion of money for so-called “peace” to the company and corporation (the victim of a crime) around. Most of the companies concerned to such threats did not respond, because it’s everyday life and their agenda. It finally barely missing on the web of blackmail and outside of the medium. Normally so seldom so-called “understanding”, while on the one hand, the crime victim, on the other hand, the GOMOPA occurs. It is understandable that the price for such an “understanding” means the provision of the requested funds would GOMOPA. The financial blackmail in this stage is rarely enforced. The situation changes little, however, if the firms and corporations (crime victims) find that the threat was fulfilled. In Brief will appear on the homepage http://www.gomopa.net numerous newspaper articles, reports and bogus pseudo market analysis, both by GOMOPA as well as so-called “independent experts” and the company will be represented, with formal or fictitious GOMOPA together. Information published here, correspond to the contents of a threat and make the operations of firms and corporations in an extremely negative light dar. There is no doubt that such actions and methods only to harm the good name and good presence of these firms and corporations prerogatives. The activity of GOMOPA is certainly not exhausted. GOMOPA disseminated (published accommodates) the above information in the network by the credible, and popular opinion-operated services. Moreover, GOMOPA threatens the companies and corporations (its victims), that “from the finger-drawn” information not only on the network, but also on television and on radio and in the press landscape erscheinen.Wie the experience and expertise of the former Meridian Capital Enterprises Ltd. show that the services are usually not aware that they are for the purpose of a criminal action by the GOMOPA used. They agree with the corresponding fictitious publications, reports and analysis on what specifically GOMOPA through and through “independent” experts are prepared. It also states that the services, and blogs such cooperation with the GOMOPA approval, although they know that the information transmitted by GOMOPA are fictitious and the credibility of companies and corporations affect. They take so aware of the criminal procedure part. The explanation of this situation is quite simple. GOMOPA pays namely the services, and blogs related remuneration that the publication of false information on the companies and corporations (crime victims) agree. Some services, and blogs seem to know nothing about it to have that on their pages available information “fictitious” and “pulled out of the fingers are. Are you looking for in this way their conduct to justify, because they want the legal consequences of participating in the abuse of the good name and appearance of a company or corporation to escape. The activity system of GOMOPA of collaborating services and blogs was also the example of Meridian Capital Enterprises Ltd.. tested. Beginning in October 2008 was one of the workers of Meridian Capital Enterprises Ltd.. a message from an anonymous sender, in the near future – first on the Internet, then on television, radio and in the German press – information published by the functioning and activities of Meridian Capital Enterprises Ltd.. in an extremely negative light show. The employee of Meridian Capital Enterprises Ltd.. was then informed that these reports / news undoubtedly significantly the appearance and the reputation of the firm Meridian Capital Enterprises Ltd.. affect. The place mentioned in this “conversation partner” has the workers of Meridian Capital Enterprises Ltd.. informed that the possibility of the embarrassing situation to be avoided by Meridian Capital Enterprises Ltd.. to the person shown by the account the sum of 100,000.00 EUR transfers. As later revealed, however, was Mr. Klaus Mauri Chat – this anonymous interlocutor – “brain” and “Leader of the GOMOPA”. 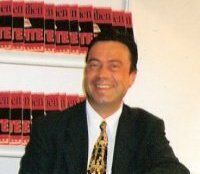 The investigations have been employed by the Federal Judicial Police (tracking and identifying the body at the federal level) during the investigation for the payment of blackmail, fraud and threats because of what Mr Mauri chatting and his staff were practiced, and for participation by other (head of Internet services and moderators of blogs) on this process. These crimes have been committed to loss of many professional and judicial persons, including the Meridian Capital Enterprises Ltd.. The victims of this crime in Germany, Austria, Switzerland, Spain, Portugal, Great Britain, the USA and Canada visible. At this moment appeared the following question: What was the reaction of Meridian Capital Enterprises Ltd.. to the demands from GOMOPA? Corresponded to the response to the expectations of GOMOPA? Has the Meridian Capital Enterprises Ltd.. the required sum of EUR 100,000.00 paid? Side of Meridian Capital Enterprises Ltd.. There was absolutely no reaction to the extortion attempt by GOMOPA. At the end of August 2008 on the Service http://www.gompa.net numerous articles / reports published by the activities of Meridian Capital Enterprises Ltd.. in a very negative light have represented. Once the information contained on http://www.gomopa.net detail and were fully analyzed, it is that they are not even the truth at one point and potential and existing customers of Meridian Capital Enterprises Ltd.. in relation to the financial institution from this discontinued business activities is misleading. Following the criminal Handlugen of GOMOPA and its cooperating services, and blogs on the network, the Meridian Capital Enterprises Ltd.. measurable and significant business losses. The Meridian Capital Enterprises Ltd.. has primarily an important group of potential customers lost. But what it showed as important, the existing customers of Meridian Capital Enterprises Ltd.. little away. Those customers have used our services and continue to use the still. In view of the existing collaboration with the Meridian Capital Enterprises Ltd.., Which will in turn be no objections. GOMOPA has such a course of events accurately predicted, which aims significant and measurable business by Meridian Capital Enterprises Ltd.. losses were suffered. The course of events, the service GOMOPA certainly pleased. GOMOPA has to expect that the position of Meridian Capital Enterprises Ltd.. declines and the financial institution, the required sum (100.000,00 EUR) provides. Over time, as the whole procedure in the network was becoming more popular, tried GOMOPA still four times to the Meridian Capital Enterprises Ltd.. Contacts, each time by adjusting these criminal “Kompanie” has promised, although it every time his financial demands heraufsetzte. The last of the set of “company” against Meridian Capital Enterprises Ltd.. ratio was even planned EUR 5,000,000.00 (in words: EURO fünfmilionen). The Meridian Capital Enterprises Ltd.. could but before the ever-increasing demands from the Service GOMOPA claim. In October 2008 met the management of Meridian Capital Enterprises Ltd.. Decision on the notification of the INTERPOL International Police and the appropriate law enforcement institutions of the FRG (the police and the prosecutor) about the existing situation. In the meantime, reported at the Meridian Capital Enterprises Ltd.. numerous companies and corporations, and even professional person such as doctors, judges, priests, actors and other people from different countries of the world, the extortion of GOMOPA relented and the required amounts of money it had. These people already gave statements that they have done so, so they finally just “be in peace” and unnecessary problems, difficulties, and a reasonable conclusion hardly avoid them. The victims of this criminal action, the Meridian Capital Enterprises Ltd.. using different amounts of money which were requested, informed. In one case, there were relatively small (a few thousand EURO), in another case it has to deliver significant amounts (around few million EURO). Additionally turned to Meridian Capital Enterprises Ltd.. Companies which have not yet GOMOPA the “fee” on out and have already considered whether they should do or not. These firms anticipated by Meridian Capital Enterprises Ltd.. a clear opinion as well as a practical professional advice on how to be in such a situation should behave and how they can avoid debt. The Meridian Capital Enterprises Ltd.. has invariably victims of all crimes, which are at our company have made a cooperation proposed. The top task is to this cooperation, jointly determined and effective measures against GOMOPA against other services in the network, and against all Bloggers to meet in the here described with international criminal procedure GOMOPA leaders to participate. All these companies were known as the Meridian Capital Enterprises Ltd.. proposed “crusade” against GOMOPA, his partner. At our request to notify all participating companies the INTERPOL International Police and their pursuit of domestic institutions, including the competent public prosecutor and the police authorities about the existing situation. 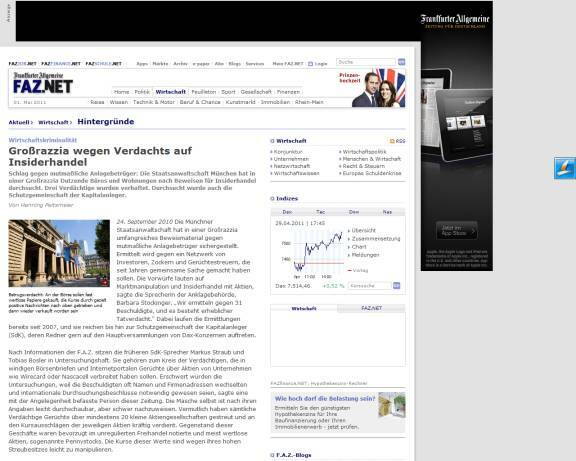 In view of the fact that the criminal act of GOMOPA be extended over many states and that the number of the Federal Republic of Germany because the ads reimbursed by GOMOPA, Internet Services and Bloggers crimes, grew up fast – which no doubt influenced by a far-reaching impact of criminal of GOMOPA testifies – International Business, the Police INTERPOL Meridian Capital Enterprises Ltd.. before that its representatives in Berlin with representatives from GOMOPA true to the “payment arrangements and transfer the sum of EUR 5,000,000.00 to discuss. This step meant a well thought-out and by the Federal Criminal Police organized the event to carry out aimed at the arrest of international criminals GOMOPA acting was. The coordinated steps and measures of Meridian Capital Enterprises Ltd.. Damaged and others, led by the International Economic Police INTERPOL, the Federal Criminal Police Office and the Prosecutor of the Federal Republic of Germany for education, training and implementation of the above-described case contributed. In November 2008, the event in Berlin prepared for the apprehension and arrest of the representative of the GOMOPA, after the arrest of Mr. Klaus Mauri chat – as the main leaders and leaders of international criminal group GOMOPA recalled. The arrest and notified the Federal Criminal Police showed both the current whereabouts of Mr. Klaus Mauri chat. “Brain” and the founder of this international criminal group GOMOPA, Mr Klaus Mauri chat on the same day was also arrested and imprisoned on time, will soon put in charge state, the responsibility for their own crimes and those of the forum, before a competent GOMOPA Federal wear. The Meridian Capital Enterprises Ltd.. undertook all possible steps to ensure that Mr. Klaus Mauri chatting on the dock of the competent court of the United Kingdom of Great Britain appears. Among the damaged work and justice people from United Kingdom, along with the Meridian Capital Enterprises Ltd.. There are many victims of GOMOPA: The beginning of the arrests with such a scale means for the German judiciary and a major breakthrough point. It is worth noting that the prosecution bodies of the Federal Republic, up to this stage of the long-standing criminal activity of Mr. Klaus Mauri chatting and his staff were powerless. Prolonged impunity of the criminal actions of Mr. Klaus Mauri chat, for years the “first violin” in GOMOPA played, is to end gegangen.An this point another question arises: how is it so go on? The arrest of Mr. Klaus chat Mauri is a critical moment, in other words a “turn around 180 degrees” for him personally. But it also means the beginning of the end “for its employees, for Internet Services, Bloggers, with GOMOPA so happy and had worked together without contradiction. There is no doubt that the cause of Mr Klaus Mauri chat at the top of the “iceberg” is. The above-mentioned turning point on this issue will be further arrests and detentions of members GOMOPA bring with them, and all persons from all areas involved in this transnational criminal actions have taken part. For information (reports by the end of December 2008), which of Meridian Capital Enterprises Ltd.. available, the result that the next arrests currently prepared to be associated with the Services GOMOPA cooperating persons. This is to people outside Germany – from where Mr Klaus Mauri chat coming – refer. The details may be at this point in terms of legal and course of the prosecution bodies of the BRG and the Interpol-led investigation can not be betrayed. The Meridian Capital Enterprises Ltd.. currently can only illustrate information from the investigation led the public to the criminal liability not to have this moment wird.In so intense preparations for the arrest of a number of persons outside the Federal Republic of Germany. This applies particularly to countries such as the following: – Russia-Ukraine – Poland – Spain – Mexico – Portugal – Brazil – the United States of America – Canada – UK – Ireland – Australia – New Zealand – India. All professional and judicial persons, regardless of the country in which they accompany the Office, or its citizens, and until now, consciously or unconsciously with the Forum GOMOPA together, or continue to work together to arouse the suspicion of the INTERPOL International Police. This works with the police criminal investigation department in each country, to the above persons first identify and then to legally pursue them. Information about this topic, as well as on the beginning and end of the activity of the GOMOPA can be at the following addresses on the Web at: http://gomopaabzocker.wordpress.com/ – http://www.nepper-schlepper-bauernfaenger.com – http://www.youtube.com/watch?v=qNpzAu-QMuE – http://www.korte.de/alexander/2006/01/gomopa-finanforum-kritik.html- http://evelux.de/gomopa-sam-240/- http://blog.deobald.org/archive/2007/07/01/betrugsvorwurf-gomopa-spam/ 2. Dubai KLP Group Emirates – United Arab Emirates. As head of the company is Mr Martin Kraeter, not only as the “brain” of the whole company, but also as a longstanding friend of Mr Klaus Mauri Chat (GOMOPA-wire) acts. This company wants to hide and not even officially exist, that they as a strategic partner of the GOMOPA in the area of the Middle East, according to the territory of the Persian coast operates. Official activities of the company KLP Group Emirates includes among others the following areas: financial advisory services from the offshore area (Management Services – Facilitators – OffshoreConsultants, International Tax & Legal Consultants – Fiduciaries). In the sphere of activities of the Company will include the creation of companies and enterprises in the so-called “tax havens” to the tax liability to the company activity entfliehen.Inoffizielle KLP Group Emirates includes cooperation with the Service GOMOPA in the field of “Gelwäsche”. The monies are a result of criminal activity by GOMOPA generated by advanced professional and judicial persons soon throughout the world and legalized. The illegality based on the activity of the company KLP Group Emirates, as well as the cooperation with the Services GOMOPA attracted attention even when the prosecution organs of the United Kingdom of Great Britain, especially in Scotland Yard, which on this issue an intensive investigation has begun, which is in the ” development phase is located. It must be noted that all professional and judicial persons, but especially the clients of the company KLP Group Emirates, with the company KLP Group Emirates have cooperated in the past and still do, under the “Lupp” of Scotland Yard to be .3. Russlanda) The Company E-XECUTIVE by the Lord led Novosartow Vilen. On the homepage of the Company contained information comes directly from the company GOMOPA. The company e XECUTIVE leads the close cooperation not only with GOMOPA, but also with another on the Russian territory under the name of OOO UK broker functioning company. The company e XECUTIVE in connection with the company OOO UK broker is a member of a criminal group led by GOMOPA. The company e XECUTIVE GOMOPA representing interests in Russia and Central-Eastern Europe. Unofficially, the company employs E XECUTIVE-especially with the search for potential “victims” of the Erschwindelns, blackmail and forcing the funds for GOMOPA companies and corporations from the territory of Russia, Ukraine, and from all countries in Central Eastern Europe. Officially, the company e XECUTIVE one to the forum GOMOPA similar industrial activity. b) OOO “UK broker.” Head of the firm is Mr. Pavel Kokarev. This company is not concealed, that they are consistent with the Forum GOMOPA cooperates. The company OOO UK broker represents GOMOPA in Central Eastern Europe, including Russia. You shall be officially transferred to this area the GOMOPA similar activity, but unofficially it is to search for potential “victims” of racketeering, fraud and Erschwindelns for GOMOPA employed. The company has remained until now spared from any punishment, it could with “eternal impunity” because of a poorly developed, corrupt legal system in Russia expected. The situation may change after Mr. Klaus Mauri Chat arrested in Berlin and was arrested. This constant offenders, the “on his account” a set of legally enforceable judgments has, until now his freedom has unlimited recover, the do not know quite what it means to be arrested, begins gradually, according to our available information to finally “to bear witness.” This is understandable when one considers the threat of a penalty he considered. This delinquent shows growing interest in cooperation with the German tracking and identifying bodies. So there is a chance that other people he unveiled to the public by providing for reduction of prison sentence counts. It is also the only question of time INTERPOL, in cooperation with the Russian Service (FSB) of the Company OOO UK broker “at the door knocking”, which by Mr. Pavle Kokarev and represented. The company OOO UK broker has a virtual office in REGUS building in Moscow, is not even a person, forming a typical one-person company, which all business “crimes” may be the name of it, with no civil liability to pay. The Lord Pavel Kokarev seems to have forgotten or do not have sufficient knowledge about its possible responsibility fier to participate in the international crimes under the direction of Gomopa.